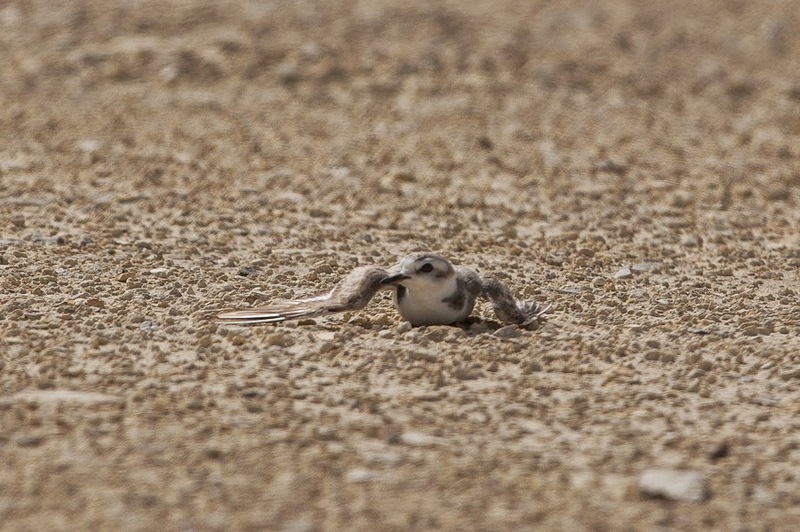 Whilst birding at Sabkhat Al Fasl last weekend I saw a number of Kentish Plovers with young chicks along the new road built under the power-lines. 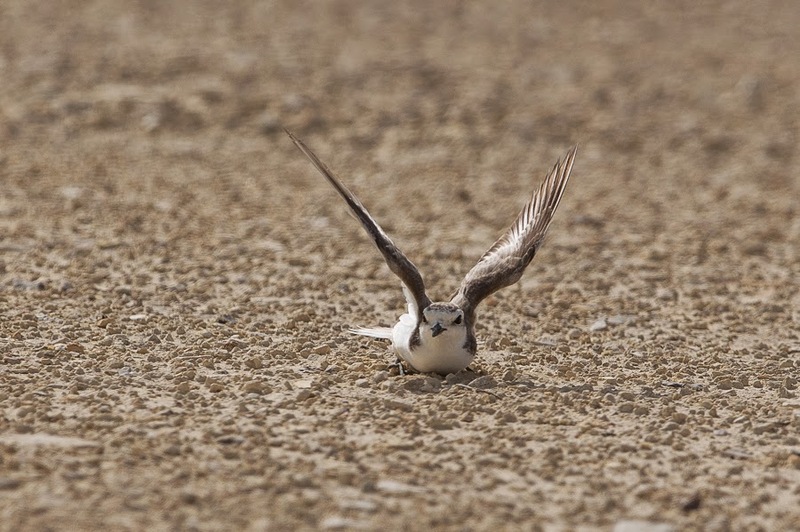 At one stage an adult bird tried to lead us away from its young chicks by feigning a broken wing. This is a well know distraction technique used by the species to lead an intruder away from the young birds. I took a few photos of the bird feigning injury, shown below, before we left the area so as not to cause the birds any undue stress. 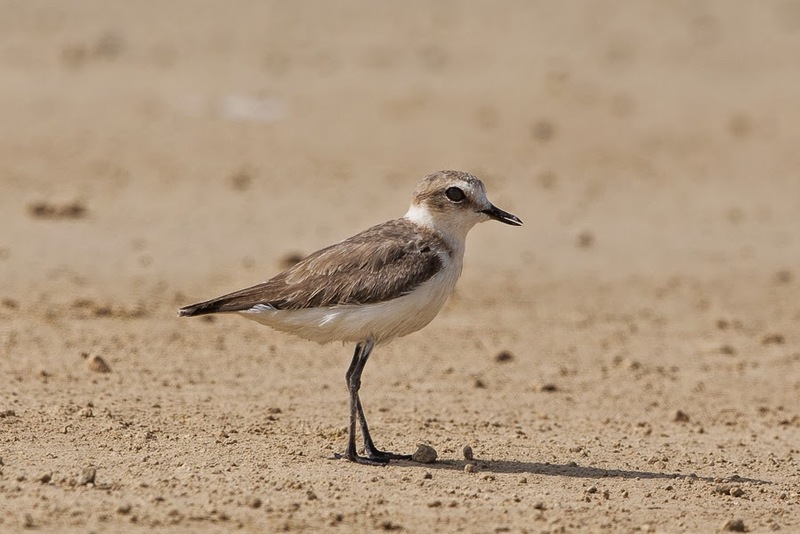 Kentish Plovers breed in large numbers along the Gulf coast of the Eastern province of Saudi Arabia and are one of the commonest waders throughout the year and the commonest in the summer months.